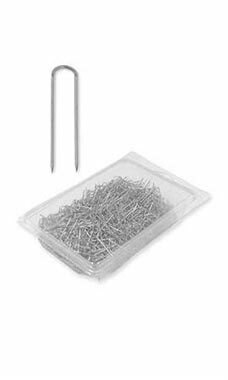 Silver Jewelry U Pins are a useful tool for use with padded jewelry inserts and displays. U pins can be easily inserted into jewelry pads and ramps to assist with jewelry display and presentation. Simply position jewelry on an existing pad or ramp and insert the pointed end into the displayer. The “U” shaped end will remain above surface fitted securely around the jewelry.